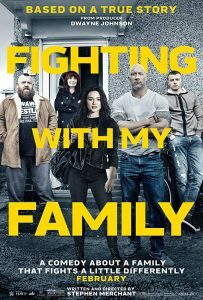 Fighting with My Family 7.5 out of10 (worst is 0)based on11,597 ratings. Plot: A former wrestler and his family make a living performing at small venues around the country while his kids dream of joining World Wrestling Entertainment. User Rating: 7.5/10 based on 11,597 votes.